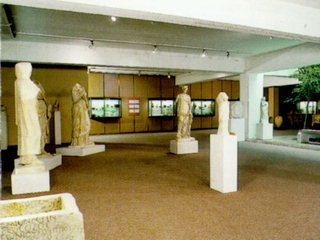 Since 1991, the Archaeological Museum of Rethymnon has been housed in the pentagonal building opposite the main gate of the Fortetsa. The building was constructed by the Turks in an effort to strengthen the city's defence. Due to the different functions that it served over the centuries - until the 1960's it housed the civic prison - its original form has been significantly altered.